Teach your favorite little ones the beloved story of Noah with this beautiful intricate piece. 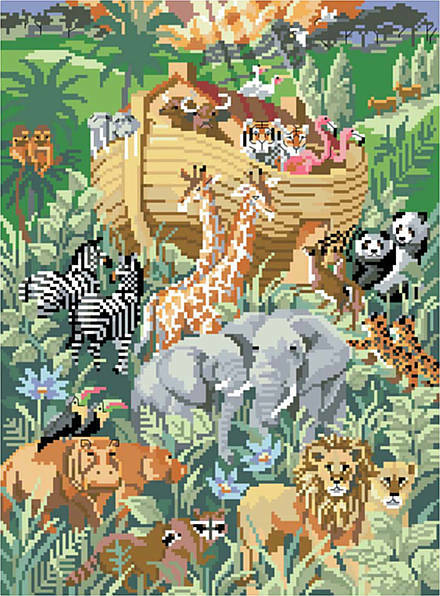 Decorate a little boy’s or girl’s nursery with the ark filled with all of God’s creatures. This sophisticated piece is not just for nurseries and can be used for many years to come! Mix and match with our other Noah’s Ark décor! Contents: Stitch count 141w X 191h. Finished size on 14-ct fabric 10" X 13-5/8"